Now that Thanksgiving is over (I'm stuffed still!!!) it is officially time to start getting all the holiday things in order! It is TIME to start getting those Christmas (or holiday if you prefer!) 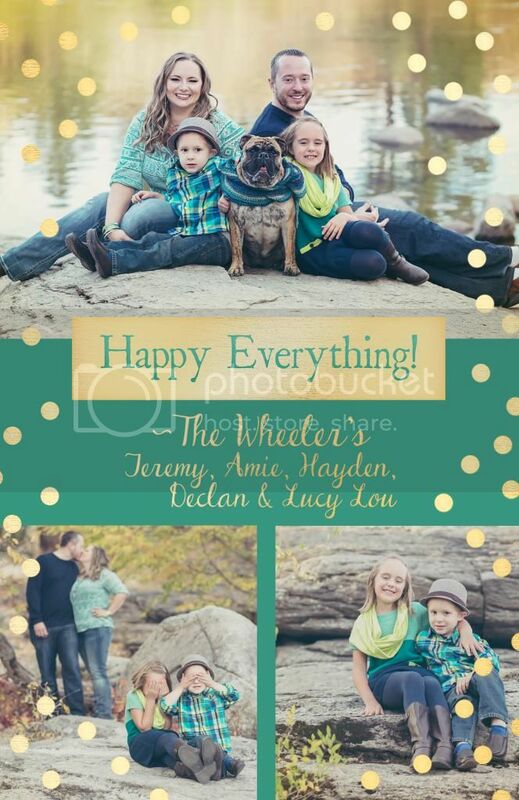 Cards made up & sent to the printer so you have time to address & mail those beauties out! 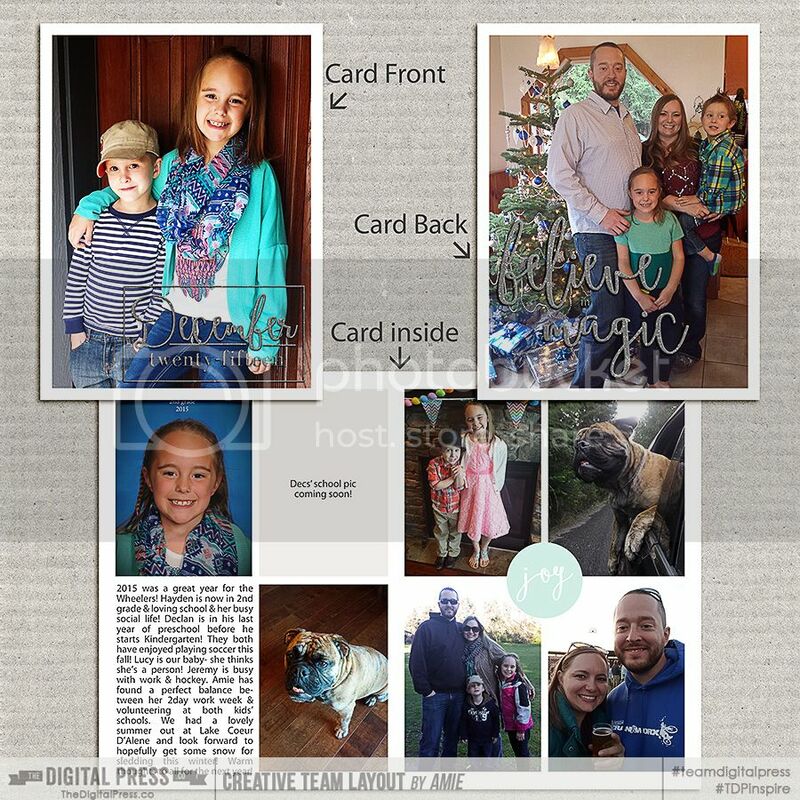 A few of my friends here at TDP gave me their cards to show you too! UPDATE: the winner has been chosen, and you will find information HERE in the last post of this thread! Last edited by Laura Passage; 12-08-2015, 03:02 PM. 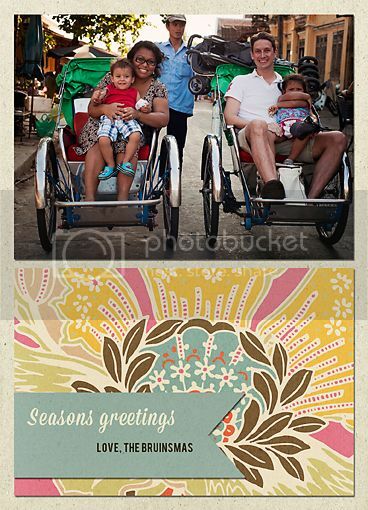 I love Holiday Cards- making them, sending them, receiving them! Here's the front and back of the cards I made for this year. 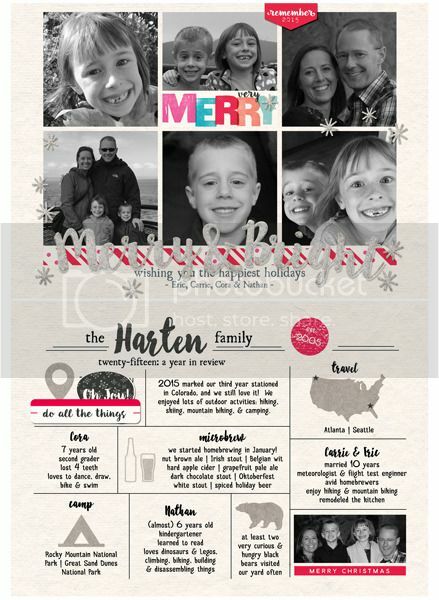 I used Let's Plan | December by Mommyish and Mari K. The family photos we took for these cards were not what I'd hoped for, so we went with the photo mosaic of some of our best photos from this year converted to black and white since the colors were all over the place. The covered up part on the back includes some information about our house. Last edited by caliten; 11-28-2015, 11:45 AM. how fun is that - I Love how you also have the information on there. - I might have to use that idea. Love the info graphic back side! So cool! Thanks! Now if I could ever get my lil guys' preschool pic... sheesh! Loving all the christmas cards. 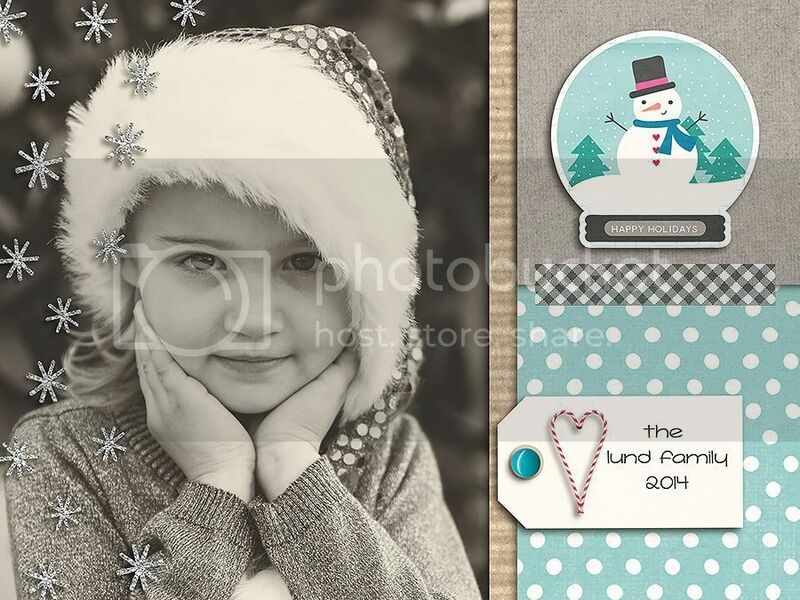 We have never ever taken photos for a christmas cards so I cant make LO out of them I do love watching everyone else's layouts though ! Did you see Carries card? You could just use a few favorite shots of kids or pets We didn't do family photos this year either but kids school pics work! 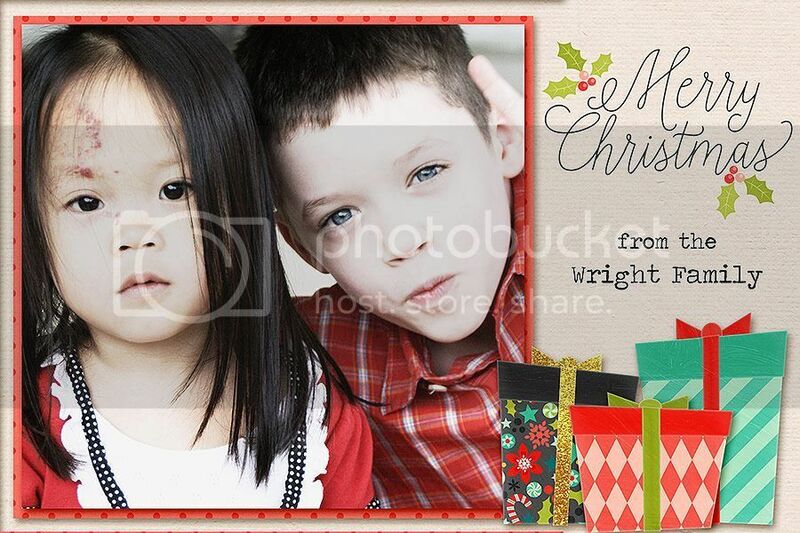 I thought those were here photos for their christmas card Totally got it wrong !! 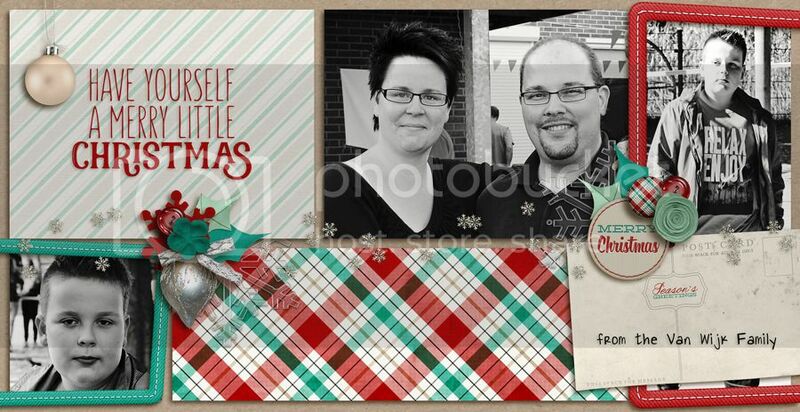 I made a card I used Mommyish - Rockin' Retro Christmas (kit) and LJS Designs - Daily December | Templates With Word Art. 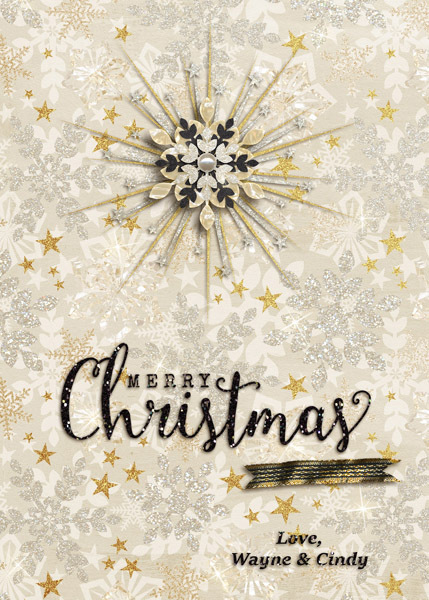 I had a lot of fun making this card.......If printing of these cards wasnt so expensive I would totally send these out as our card this year But with more than 60 cards to send and postage costs at a premium over here....it's just too much using these. Love your card Biancka! The b&w photos are perfect. Thank you, Amie & Lorie <3 !! I just bought Taz's winter hat so I'll be putting his hat on and taking over to the park in the early morning so I can get a frosty morning pic of him for our digital card this year. We have no snow so a frosty morning pic is about as wintery as I can get right now. Last edited by lmjrocko; 11-28-2015, 10:14 PM. uuum had to dig a little because I have a new computer & I am in the process of migrating all my stuff. 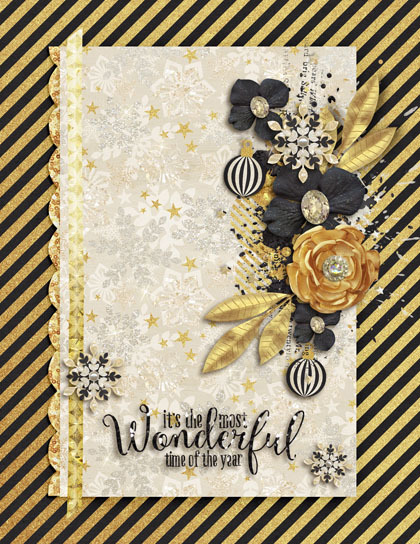 Congratulations to Carrie (caliten), who was randomly selected as the winner of TDP's Scrap Your Holiday Card Challenge! Carrie, please check your forum messages (there should be a link at the very top right of your screen if you scroll all the way up to the top of this page)... as I've just sent your prize info to you!